The firefighter assigned to the outside vent position (commonly referred to as the OV) is an important asset to have on the fireground. 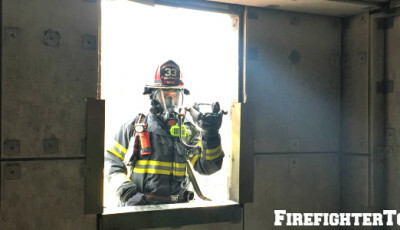 Typically assigned to one of the two outside team positions of a ladder company (the other being the roof position) they are tasked with some important roles as well as expected to make some important decisions. The OV is often an underutilized position, typically due to limited staffing with departments across the country. 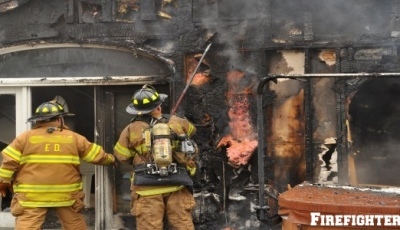 Many times the emphasis is put on interior operations and exterior operations are delayed until further units arrive. Today we will explore this position in detail. What does an OV actually do? 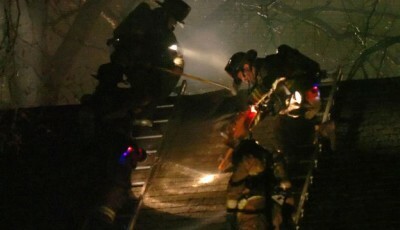 The OV’s main job is to vent the fire from the outside while the engine company extinguishes the fire from the inside. Venting the fire allows the heat and smoke to escape and allows the engine company to make an easier “push” into the fire area. Sounds simple right? Well, it does actually get quite a bit more complicated than that. •The appropriate selection of tools based on the fire building. •The ability to read fire as well as smoke conditions. •The ability to determine when the appropriate time to vent is. •The ability to determine when VES (Vent, Enter and Search) will be required. •Can you determine the layout of the inside of a private dwelling by looking at the windows? If you need to VES a bedroom which window do you enter? These are just some of the decisions that an OV will have to make during a fire. It is worth mentioning again, that this position should be filled by an experienced firefighter. An inexperienced firefighter put into this position making the wrong decisions could have catastrophic results. Ladder selection also comes into play and one must determine the need for just a roof ladder or possibly a twenty-four foot or thirty-five foot extension ladder. 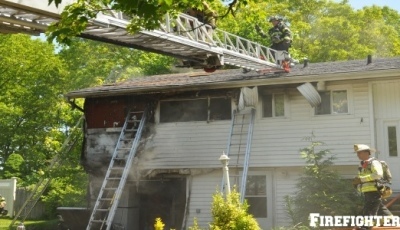 In certain cases an extension ladder maybe needed in conjunction with the roof ladder. Heavy Irons-typically a Halligan tool and a maul, these may be used for forcing doors in the rear of a commercial building. Forcible Entry or Vent Saw-again used for venting or gaining entry in a commercial building or possibly a private dwelling found to have security bars covering the windows. 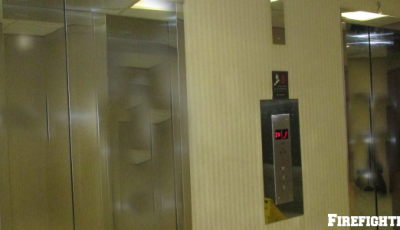 A proper size up is an important role that all members of a company should conduct on arrival. In part 2 we will discuss the next step for the OV firefighter; Size-up.